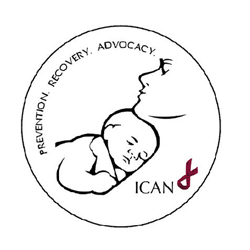 On Saturday, April 30, 2011, from 2 to 3 p.m., come show your support for the International Cesarean Awareness Network (ICAN) by enjoying gentle yoga! Namaskar Yoga Studio will host the space for Registered Yoga Teacher Chelsea and Maureen to teach an hour of gentle beginner's yoga. Registration is required. The cost is $10, with all of the proceeds being donated to the ICAN Saskatoon chapter. Bring a yoga mat (and props if you need them), water and wear comfortable clothing. Namaskar Yoga Studio is located at 615 - 2nd Avenue North in Saskatoon. Click here for additional location and parking information. Please note parking right behind the studio is not available on Saturdays, but there is lots of free parking available in the Western Business Machines parking lot and other locations as indicated on the map and street signs. To register for this event please call Maureen at 306-653-5521.